If the Ministry of Home and Agricultural ministry has its way, there could soon be a Unique Identity Number (UIN) tag for all cows and buffaloes across the country. The UID tag was one of the recommendations submitted on Monday by the Home Ministry-led committee to a bench of chief justice J S Khehar and Justice D Y Chandrachud of the Supreme Court to stop cattle smuggling across the India-Bangladesh border. “Ministry of agriculture has devised a method of tamper proof identification of cattle using polyurethane tags with a unique identification number sequence. This may be made mandatory for all cow and its progeny throughout India for all cattle that is owner. Already mass tagging of cattle for insurance is being done by livestock development boards and animal husbandry department of state governments. Each animal to be tagged with a Unique Identification Number with proper records of identification details ( age, breed, lactation, height, body, colour, horn type, tail switch, special marks etc. )”, the Home Ministry affidavit said. Other recommendations included strengthening of institutional framework, sensitization of enforcement agencies, stern action by animal husbandry department, setting up of homes with guards for free roaming cattles and strict implementation of prosecution and penalty rules. “The committee held three meetings wherein detailed deliberations were held. The committee framed draft recommendations, which were circulated to all stakeholders for comments. Based on the comments received and deliberations held during the meetings, recommendations of the committee have now been finalized and approved “, Solicitor General Ranjit Kumar told a bench of chief justice J S Khehar and justice D Y Chandrachud. The bench will take a stand on the recommendations tomorrow. 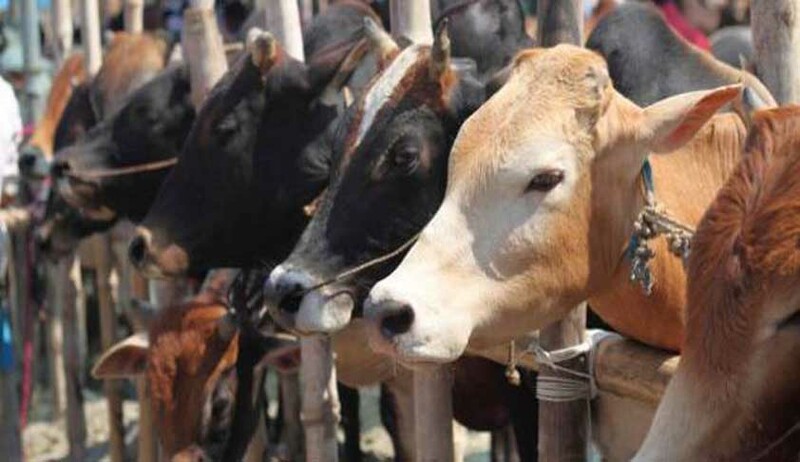 "The smuggling of cattle across the border of Bangladesh has led to overall disruption of ecosystem and if the cattle wealth of country is depleted, then it shall also have adverse impact on nutrition of populis including children in India," the PIL has said. The organisation in its PIL has claimed that due to various syndicates operating, the smuggling of cattle is unchecked and rampant on the porous borders of Bangladesh.